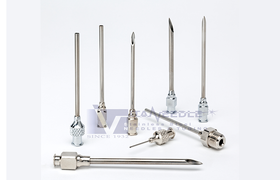 Vita Needle's product offerings have expanded greatly from an original focus on hypodermic needles used by Allied forces in World War II. 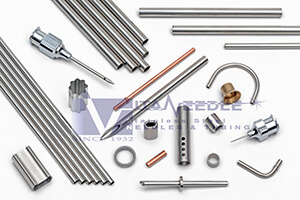 The Company still manufactures custom needles for medical, lab and industrial uses but is also a leading source for small diameter stainless steel tubing. Whether in bar (random length) form, cut and deburred to length or fabricated into custom parts, Vita covers an extraordinary range of diameters and wall thicknesses. The selection of alloy options is among the widest in the industry, from cost-effective 304 stainless to hard-to-find alloys like Kovar® or 17-7. Stainless steel and specialty alloy wire are also stocked and manufactured by Vita, as well as machined luer lock fittings and adapters. 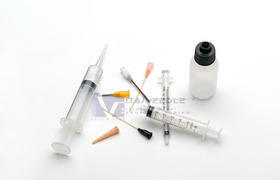 For dispensing applications, Vita also supplies disposable blunt needles, syringes and bottles. 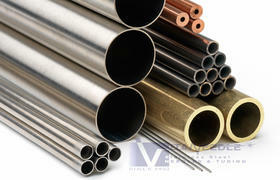 Vita offers welded and drawn tubing, as well as seamless tubing for specific applications. Vita has the capabilities and services to fabricate parts to your specifications. 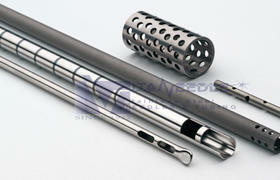 We manufacture the highest quality reusable stainless steel medical grade needles and cannulas. Applications include production, maintenance, lab operations and lubrication activities. 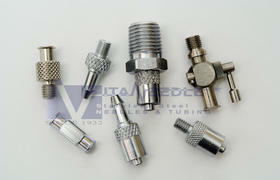 Our technology permits plated brass adapters to be produced economically. 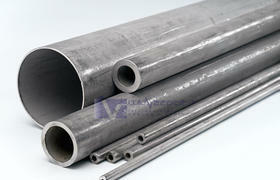 Commercial tubing & pipe are produced in both the seamless and welded processes. 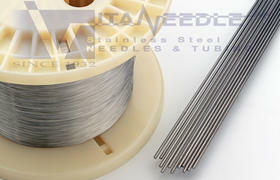 Vita Needle offers stainless steel wire in several medical grades and tempers.